The other day I was doing what I love best, randomly browsing a wine aisle creating a mid-aisle trolley hazard, when I spotted Morrisons The Best Pecorino and went a bit light-headed. I was drawn to it because a) it is from the Abruzzo region in Italy which I’ve just visited b) it has a picture of a sheep on the label c) it isn’t pinot grigio. There is complete logic in my ABC so let me explain. I bet many of you (hello? I hope there’s more than one of you out there) will have tasted the Italian reds labelled Montepulciano d’Abruzzo. I’ve found they can be hit and miss; but on speaking to the producers in their wineries I discovered that Abruzzo wines bottled outside the region can have little essence and personality due to the bulk processes involved. To taste the wines which are bottled in situ was fantastic, some were divine. My eyes were opened sipping these reds in the region in which they’re born. Another eye-opener was the white wine. 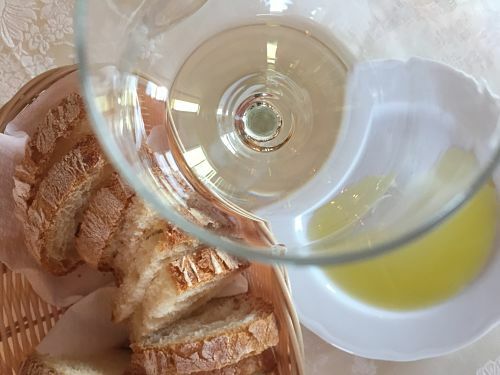 Italian whites can be oh-so so-so but Abruzzo’s pecorino, passerina and trebbiano are fresh, zingy, often tropical, often citrussy, sometimes complex. Back to my ABC and Morrisons The Best Pecorino (I’d paid £8, prices may vary, 13% abv). 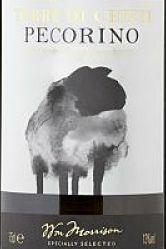 I was giddy at the sheep label on Morrisons’ bottle because in Abruzzo a winemaker had told me the grape is so-called because as sheep (pecoro) are herded over the hillsides they eat the grapes. I’d also been seeking a white wine to encourage friends to try new white wines, instead of always drinking pinot grigio. I thought this pecorino could be a winner. Then, success. “I love it,” one friend said, as the pecorino’s peachy and zesty notes won her heart. Oh – and as an aside, this wine has won a silver trophy at the International Wine Challenge. Thank you Abruzzo for one lady converted to my “don’t just drink pinot grigio” cause. Contesa Pecorino 2016 (£9.75, thewinesociety.com, 12.5% abv) A white wine with inviting aromas of summer flowers – freesias maybe – with lemons and a dash of dried honey with a lively acidity and citrus flavours. There’ll still be some summer left, somewhere in the world, and it’s a perfect sunshine wine. Abruzzo Cococciola Frentana 2016 (£11, Bat and Bottle – batwine.uk, 12.5% abv) Cococciola is a grape new to me, though I’ll be seeking it out again. Lime and lemons are a zesty tease on the nose, together with spring flowers on a breeze. The citrus flavours are refreshing, the acidity not too demanding a sensation. It’s a wine nicely in balance and calling out for a seafood platter. Montepulciano d’Abruzzo 2015 Masciarelli (£11.99, or £9.99 in a mix six deal at Majestic, 13% abv) Pepper and spice and all plummy things nice. I love this wine, with its aroma notes of dry wood, cherries, damsons and black pepper. In the mouth black fruit and cherry are centre stage, the tannins aren’t overpowering and the acidity isn’t too racy. I’ll have a steak please. Montepulciano d’Abruzzo Vigna Corvino, 2015 (£7.95, thewinesociety.com, 12.5% abv) The nose speaks freshly-picked hedgerow fruits, ripe and juicy, and a dalliance with spice. The acidity is medium and the tannins are drying but not too much. The fruit is young, fresh and pleasing. A lovely glass to drink with friends as you wait for the pizza to cook. The four wines I tasted were among the Top 50 Abruzzo wines selected by Masters of Wine Sam Caporn and Peter McCombie, together with Naked Wines Buying Director Ray O’Connor and sommelier expert Matt Day. Yup – that’s me on this page. Sadly not the pretty thing in the middle, but the old blob on the left wearing a grey cardie. 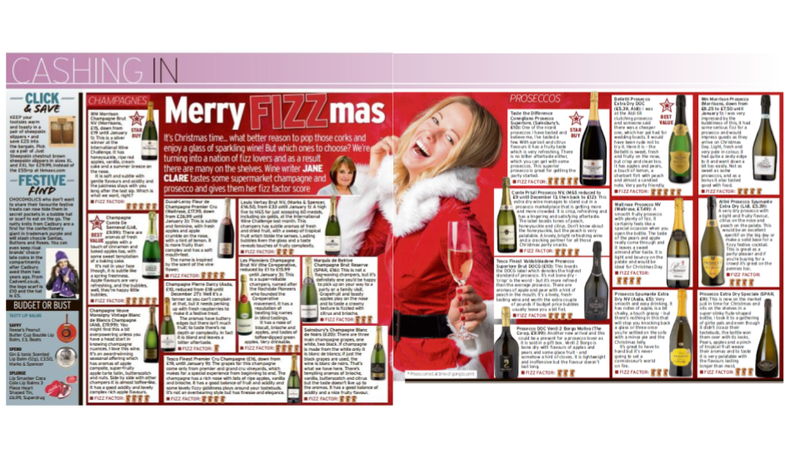 You’ll see we ran a supermarket festive fizz taste test … here’s the supermarket champagne ratings. Merry Christmas and a Happy New Year! Wm Morrison Champagne Brut NV (Morrisons, £15, down from £19 until January 1st) This is a silver winner at the International Wine Challenge and is a champagne which is happy in its soul. It has honeysuckle, the juicy tease of ripe red apples, vanilla, cream cake and a summer breeze on the nose. It is soft and subtle with gentle flavours and acidity and the juiciness stays with you long after the last sip. Which is what we want, right? Champagne Comte De Senneval (Lidl, £9.99) I really, really liked this. There’s aromas of fresh apples with a touch of cinnamon and a yummy ooze of baked apples too, with some sweet temptation of a baking cake. It’s not in your face though, it is subtle like a spring freshness. Apple flavours are very refreshing, and the bubbles, well, they’re happy little bubbles. Champagne Veuve Monsigny Vintage Blanc de Blancs Champagne (Aldi, £19.99) You might find this a bit overpowering unless you have a head start in knowing Champagne nuances. I love this wine. Its an award-winning seasonal offering which has aromas of apple compote, super-fruity apple tarte tatin, butterscotch and nuts. Side by side with other champers it is almost toffee-like. It has a good acidity and lovely complex rich apple flavours. Duval-Leroy Fleur de Champagne Premier Cru (Waitrose, £17.99, down from £26.99 until January 3) Ah, this is subtle and feminine, delicate and wistful. There’s fresh apples and apple crumble on the nose, with a “hey notice me” wave from lemons. It is more fruity than complex, has a soft mouth-feel and is confident in itself. The name is inspired by the scent of the vine flower. Les Pionniers Champagne Brut NV (the Co-operative, reduced by £1 to £15.99 until January 3) Ah. One of my evergreen favourites. It is a super-reliable Champers, named after the Rochdale Pioneers who founded the Co-operative movement, and it has a reputation of beating big names in blind tastings. It has a nose of biscuit, brioche and apples, and tastes of toffee-dipped green apples. Very drinkable. Tesco Finest Premier Cru Champagne (£16, down from £19, until January 9) The grapes for this champagne come only from premier and grand cru vineyards, which makes for a special experience from beginning to end. The champagne has a rich nose with lots of ripe apples, vanilla and brioche. It has a good balance of fruit and acidity and some lovely fizzy giddiness plays around your tastebuds. It’s not an overbearing style but has finesse and elegance. Sainsbury’s Champagne Blanc de Noirs (£20) There’s three main champagne grapes, one white, two black. If champagne is made from the white grape only it is blanc de blancs; if just the black grapes are used, the wine is blanc de noirs. That’s what we have here. There’s sumptuous, tempting aromas of brioche, vanilla, butterscotch and citrus but the taste doesn’t live up to the aromas. Saying that, it has a good balance of acidity and a nice fruity flavour. 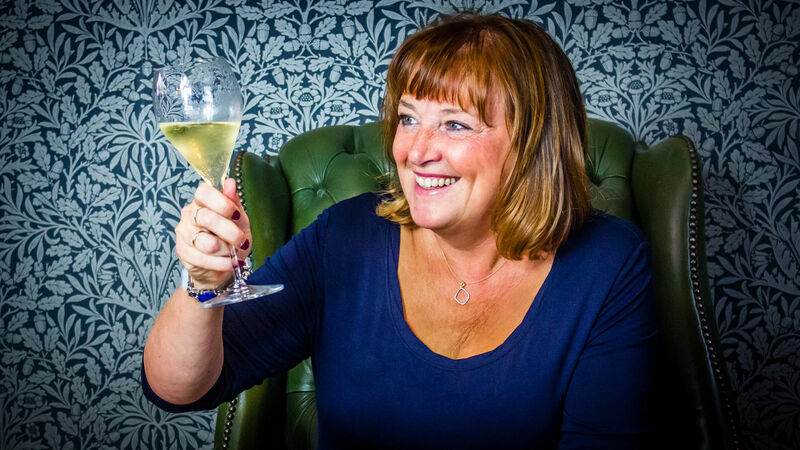 Louis Vertay Brut NV, (Marks & Spencer, £16.50, from £33 until January 1) A High Five to M&S for just scooping 60 medals, including six golds, at the International Wine Challenge last month. This champers has subtle aromas of fresh and dried fruit, with a sweep of tropical fruit which tickle the senses. Lasting bubbles liven the glass and a taste reveals touches of fruity complexity. Marquis de Belrive Champagne Brut Reserve (SPAR, £16) I was surprised when I had my first nose dip of this champagne. I said “oooo” because I wasn’t expecting it to have such pretty aromas. It’s not a flag-waving champers, but it’s definitely one you’d be happy to pick up on your way to a party or a family visit. Grapefruit and toasty apples play on the nose and to taste a creamy texture is fizzled with citrus and brioche. Champagne Pierre Darcy (Asda, £10, reduced from £18 until December 27) Well it’s a tenner so you can’t complain at that, but it needs perking up with fresh raspberries to make it a festive treat. The aromas have buttery edges but there isn’t much fruit; to taste there’s no depth or complexity. In fact it is bland and leaves a bitter aftertaste.